The nose is soft and delicate with a beautiful floral character. Spring blossom, violets, sweet peas and a subtle green leafiness all emerge. The palate is vibrant with a compelling balance of dry tannin and soft brown sugar vanilla sweetness. A deep oak flavour gradually builds, with hints of spice and liquorice shining through. William Grant founded Glenfiddich in 1886 from second-hand equipment bought at a bargain price from nearby distillery Cardhu. 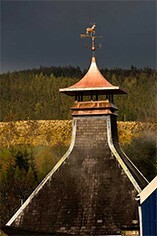 It is located near the small river whose name it bears in Dufftown in the heart of Speyside. It produced its first whisky on Christmas Day 1887. The glen of the river Fiddich gives its name to the biggest-selling single malt whisky in the world. 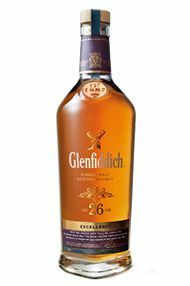 The Glenfiddich distillery is on the small river whose name it bears, in Dufftown.